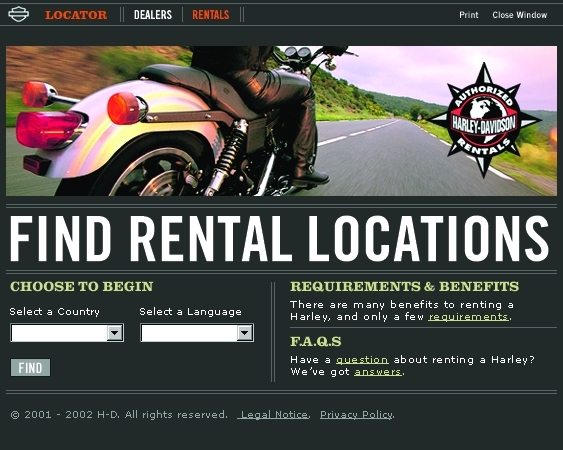 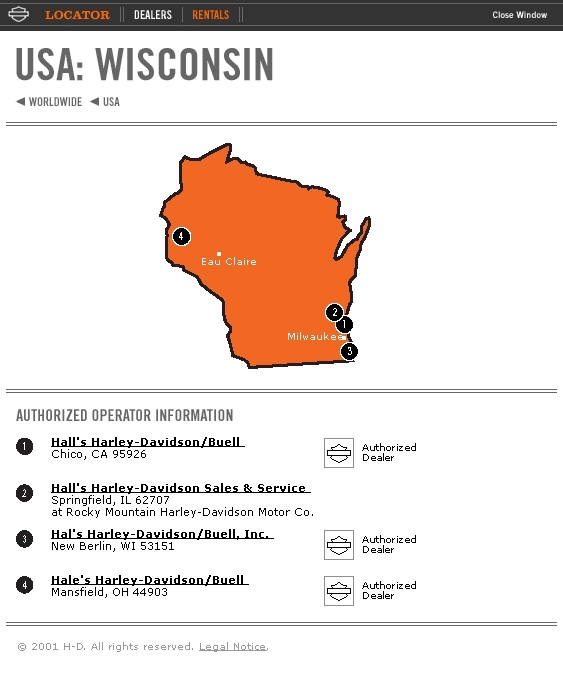 The rental locator pages serve to market the 100s of Harley rentals available throughout the globe. 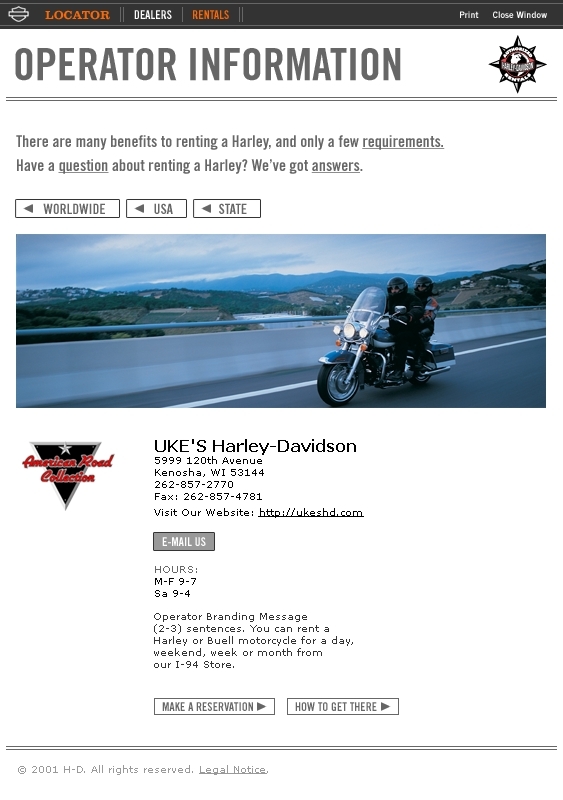 I collaborated with IAs and Harley's UX team to produce page designs. 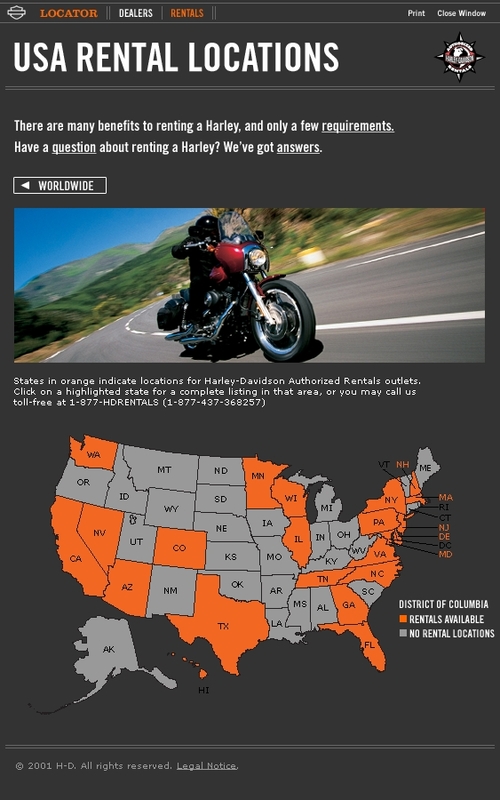 Roles: Lead visual designs, photo selections, mockups.